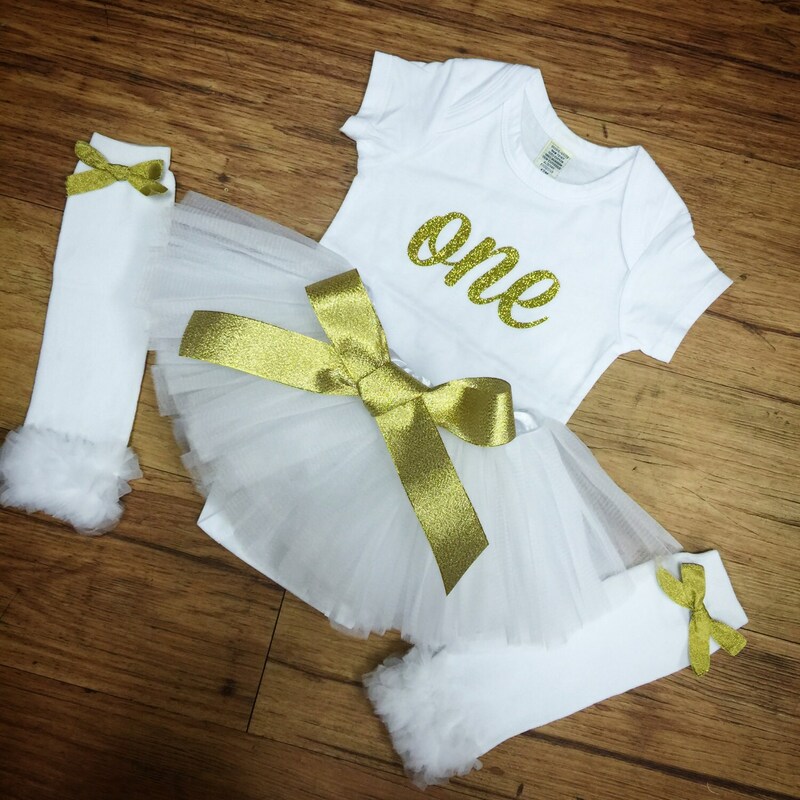 Gold & White, One, Birthday Set. 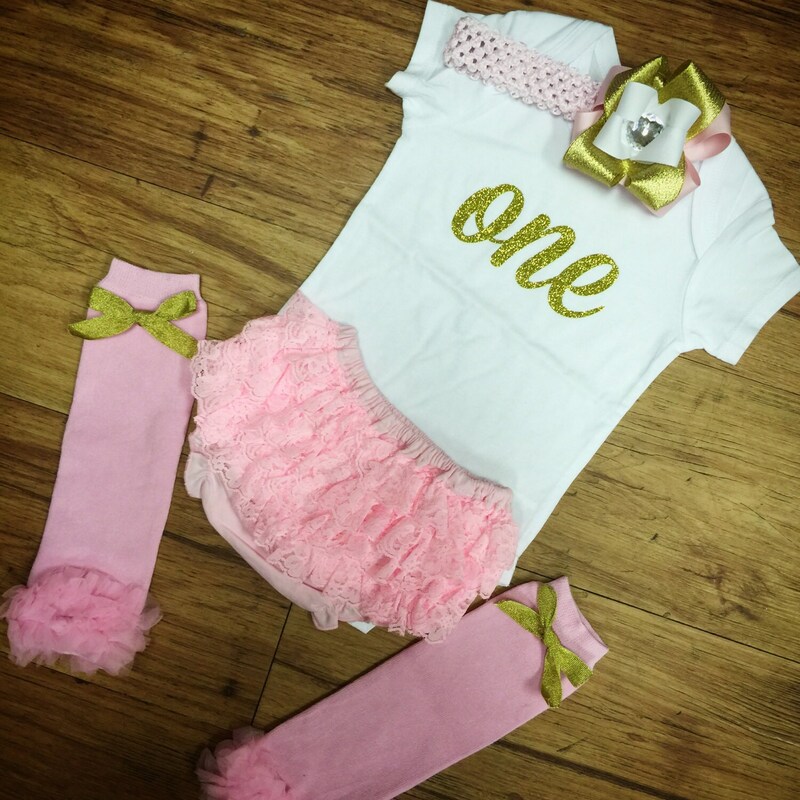 Complete set includes onesie, legwarmers, and tutu with gold bow. No hair piece is included in this set but can be added if desired.